Can’t sleep? You’re not alone. Insomnia is the most common sleep disorder. Over 10% of the population suffers from chronic insomnia and nearly 50% of the population experiences intermittent insomnia. Insomnia is defined as difficulty falling asleep, waking up in the middle of the night and being unable to fall back to sleep, or waking up too early in the morning. There are physical/biological, environmental and psychological factors that can contribute to the development and maintenance of insomnia or can cause one to experience short-term insomnia symptoms (e.g., maybe you can’t fall asleep because you’re worried about a big test the following day). This is the first part of a three-part series that explores factors that can contribute to the development of insomnia. While there is much we don’t know about the biological contributors to insomnia, we believe genetics plays a role. You are more likely to develop insomnia if you have a strong family history of insomnia or insomnia symptoms. If you have a genetic predisposition for insomnia, a life stressor (e.g., a stressful job or tension in a relationship) may cause you to develop insomnia. In many instances, the insomnia may persist even after the life-stress has been resolved. Depression can also contribute to the development of insomnia. Insomnia is one of the most common physiological symptoms of depression. Folks suffering from depression induced insomnia often wake too early in the morning and are unable to get back to sleep. To make matters worse, folks coping with depression often have persistent and negative thoughts during these early morning awakenings. Other mental health conditions, such as anxiety or Post Traumatic Stress Disorder (PTSD) may cause one to experience insomnia symptoms. Sometimes people who are feeling anxious find that their mind is “wired” just when they want to sleep. They may be thinking and/or worrying about the next day, replaying conversations they had the previous day, thinking about something critical they need to get done, or worrying about relationship problems. A classic example of someone with acute insomnia is having a hard time falling asleep because they are worried about a big exam or presentation the following day. Someone who suffers from anxiety may have that experience every night. Substance use can also contribute to insomnia. Alcohol is very sedating for most people so many people believe it is helpful for falling asleep. The problem is that as the body metabolizes the alcohol, the sleep can be disrupted in the middle of the night. Alcohol can also affect the stages of sleep resulting in lower quality of sleep throughout the night. Other substances can also affect sleep. Cigarettes can cause difficulty falling asleep, marijuana can have a similar effect to alcohol, and certainly other drugs and substances can have a negative effect on sleep. Chronic and frequent nightmares can also contribute to insomnia. Chronic nightmares can be very distressing and can result in a fear of going to sleep. 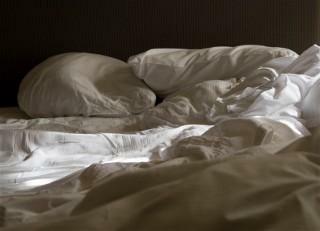 Waking up due to a nightmare can feel really disturbing and unsettling and may cause difficulty falling back to sleep. All of these factors can contribute to insomnia. For most of us, if our sleep gets disrupted, it can affect how we think, how we feel emotionally, and how we feel physically. If not adequately addressed, insomnia can grow worse over time. In the next part of this series, we will discuss environmental causes for insomnia. Stay tuned.